Created by some of the top names in the accessories business, designer jewelry pieces are miniature works of art. 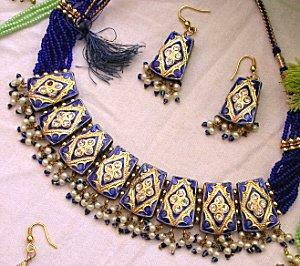 In addition to carrying a prestigious brand name, these pieces often feature precious metals and gemstones, exotic materials, and spectacularly unique shapes and motifs. Some are crafted by hand, further adding to their appeal. Designer jewelry is available at high-end department stores, boutique jewelry stores, and sometimes directly from the designer. Depending on where you live, you may be able to purchase designer pieces locally. However if you don't live in or near a big city, you can still buy designer jewelry online. 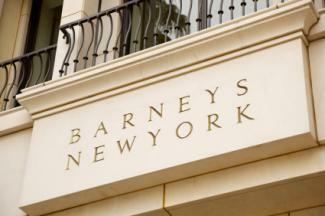 Barneys is a high end department store with an extensive selection of elite designer jewelry. You'll find pieces by designers like Balenciaga, Cathy Waterman, Irene Neuwirth, and many others. Prices range from around $200 for a leather cuff bracelet to well over $100,000 for a designer diamond necklace. Although it doesn't offer the most exclusive designers, Nordstrom does have a great selection of pieces by Lanvin, Marni, John Hardy, and others. Many pieces are under $1000. If you're looking for discount prices on some of the best names in designer jewelry, Bluefly is a great shopping option. The selection is always changing, but it's common to see pieces by Bottega Veneta, Stella McCartney, Lanvin, and other elite designers. Pieces are heavily discounted, sometimes 30% to 40% off the manufacturer's suggested retail price. Featuring jewelry by designers like Cathy Waterman, Mallary Marks, Mark Davis, and many others, Twist has a great selection of exotic pieces. If you're looking for something truly original, Twist's One-of-a-Kind collection offers designer-crafted pieces that are unique. Prices range significantly depending on the materials used, the designer, and the item. J.R. Dunn bills itself as the largest online designer jewelry store, and truly does have an extensive selection. You'll find Mikimoto, Tacori, Chopard, John Hardy, and many other designers. Pieces range from simple precious metal designs to those studded with diamonds and other precious gems. Prices vary significantly, depending on the piece. You can also buy directly from some of the most prestigious jewelry designers or purchase through their authorized retailers. The following are among some of the most popular with wealthy buyers, according to a report by Luxist and the Luxury Institute of New York and reported on Market Wire. Harry Winston offers rare and unique jewelry, and his work is popular with Hollywood celebrities. Floral motifs figure heavily in his collections, which feature precious metals, diamonds, and exotic gems. You can shop online directly from Harry Winston website, or if you're looking for something really special, you can schedule an appointment at the store location of your choice to view one-of-a-kind pieces or request a custom item. Known for its quality workmanship, gorgeous design, and iconic blue box, Tiffany & Co. has long been one of the most popular designer jewelry stores in America. You can view the collections and shop online or stop in to one of the many Tiffany locations to custom-design an engagement ring or other special piece. Cartier, one of the most prestigious names in French designer jewelry, has an extensive e-boutique for U.S. shoppers. You'll find watches, necklaces, bracelets, rings, and much more. For in-person service and custom work, you can use the website's find-a-boutique feature. 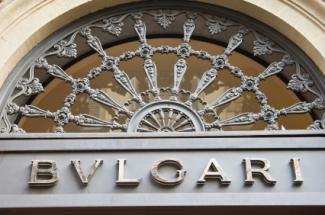 Bulgari is a renowned Italian designer of luxury items and jewelry. You can shop online for everything from simple chains to diamond rings. For custom pieces, you can use the store locator to find a boutique near you to work with. 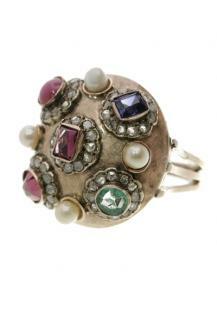 Buccellati is also a famous Italian jewelry designer. Although you can't shop online, you can flip thorough the designer's online catalog to view available designs. If something captures your attention, you can use the store locator on the website to find a retailer near you. Van Cleef & Arpels offers several lines of beautiful designer jewelry, most featuring flowers or vines. You can shop online by collection or use the store locator to find a nearby retailer to purchase a piece of "high jewelry" or a custom design. If you're interested in a designer piece with a history, you have a number of shopping options. Vintage and pre-owned pieces can provide a cost savings, and they also offer a way to expand your jewelry collection beyond the current year's lines. However, it's important to authenticate these items before you invest. Beladora - This store offers an extensive selection of vintage designer pieces and they guarantee the authenticity of each piece. 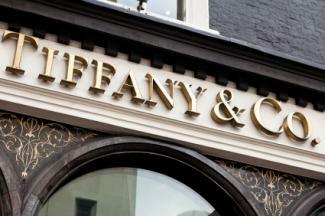 You'll find most major designers, ranging from Tiffany to Buccellati. Portero - Offering handbags and designer jewelry that has been gently used, this store is a great place to find a deal on Cartier, Mikimoto, and more. Couture Designer Resale Boutique - This store resells designer pieces from Tiffany, Cartier, and many other luxury brands. If you're shopping in a second-hand store, pawn shop, or on an auction site like eBay, you should use caution. Designer pieces are major investments, and untrustworthy sellers can fake these pieces. Before you pay for an investment piece, take the time to get it officially appraised. If the seller will not wait for an appraisal, move on. When you purchase prestigious piece, especially a one-of-a-kind designer jewelry item, you are adding a work of art to your collection. Designer jewelry makes a great investment, so it's often best to choose pieces you know you will love for years to come.